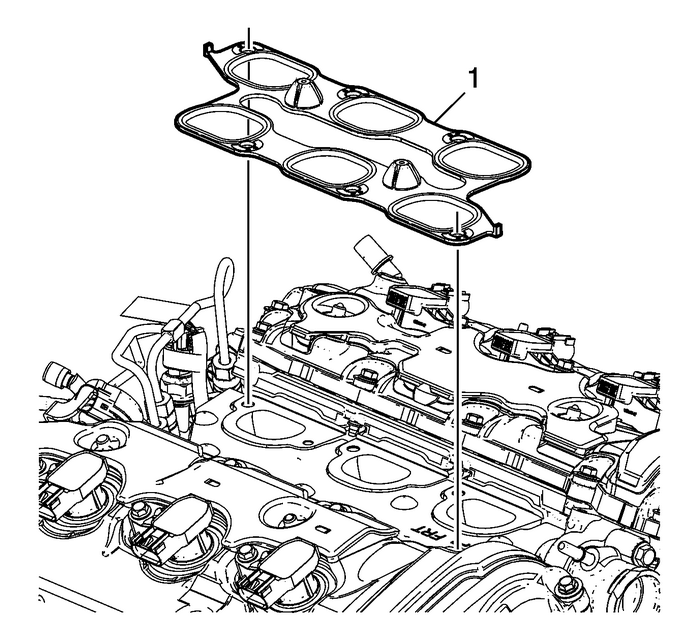 Install the NEW intake manifold gasket-(1). 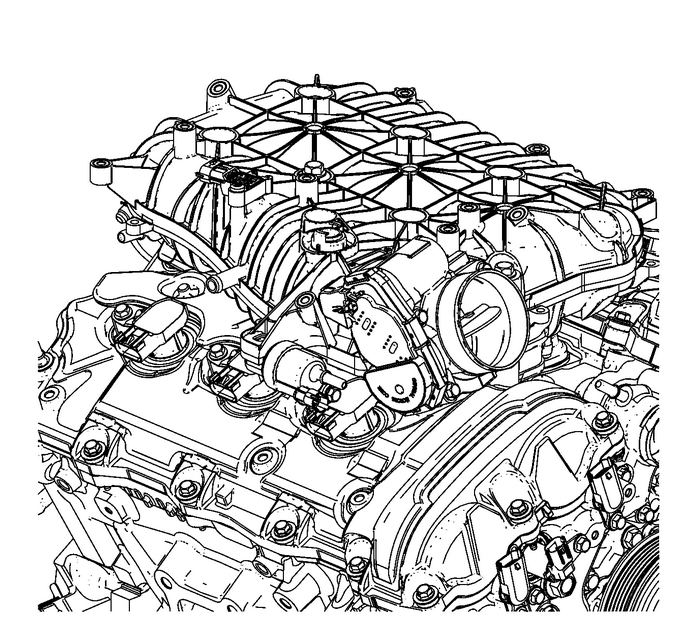 Install the intake manifold assembly-(2).Install the intake manifold bolts-(1). 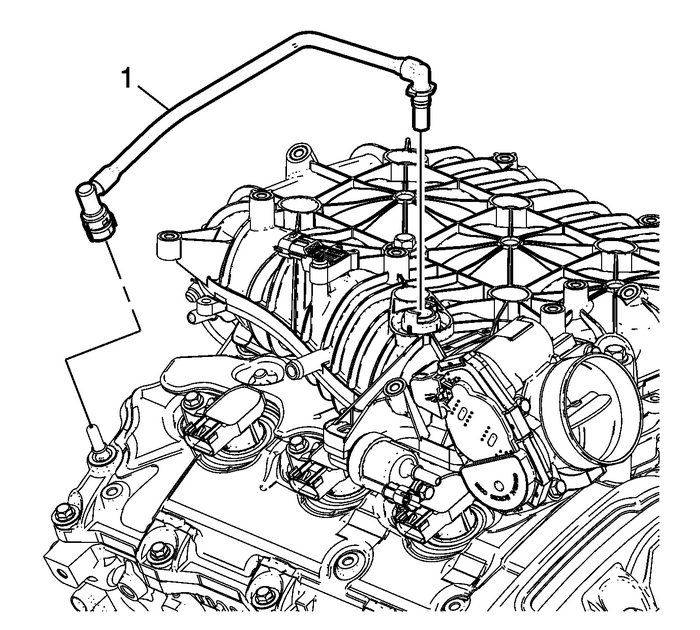 Tighten the intake manifold bolts in the sequenceshown.Tighten the intake manifold bolts in sequence to25-Y(18-lb-ft).Tighten the intake manifold bolts a second pass in sequenceto25-Y(18-lb-ft). 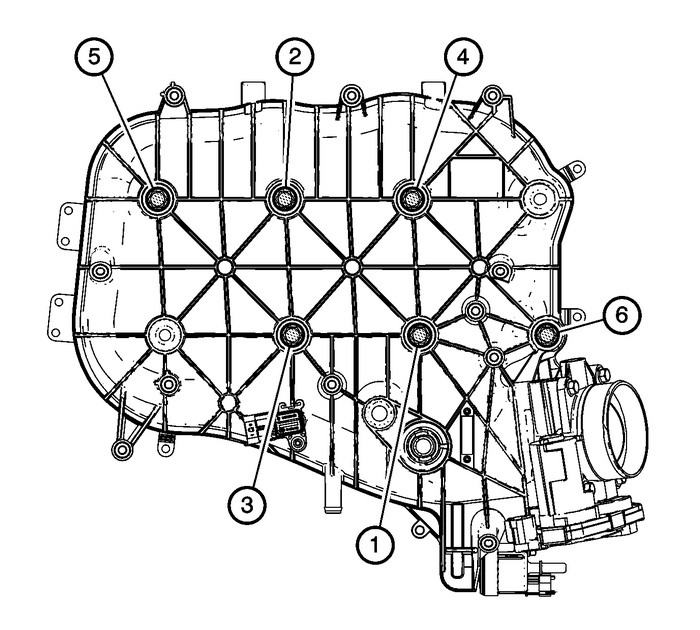 Install the fuel pump cover-(2).Install the fuel pump cover bolt-(1) and tightento10-Y(89-lb-in). 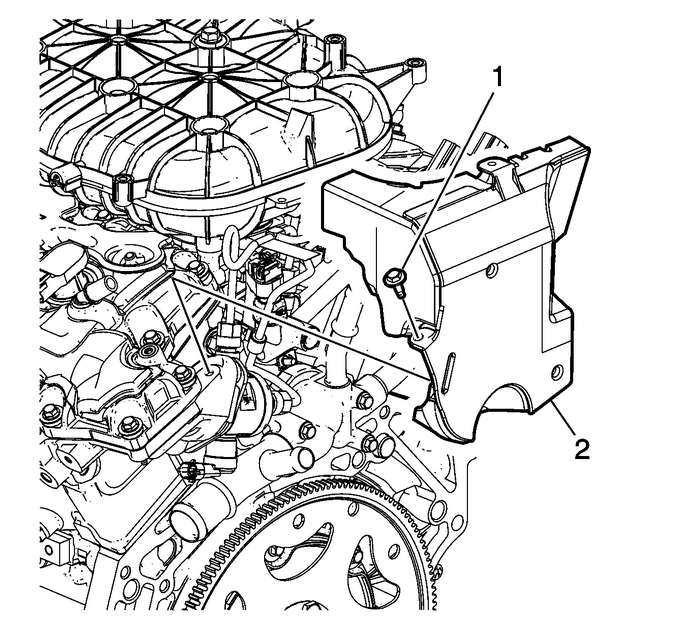 Connect the evaporative-(EVAP) hose to the upperintake manifold and EVAP solenoid. 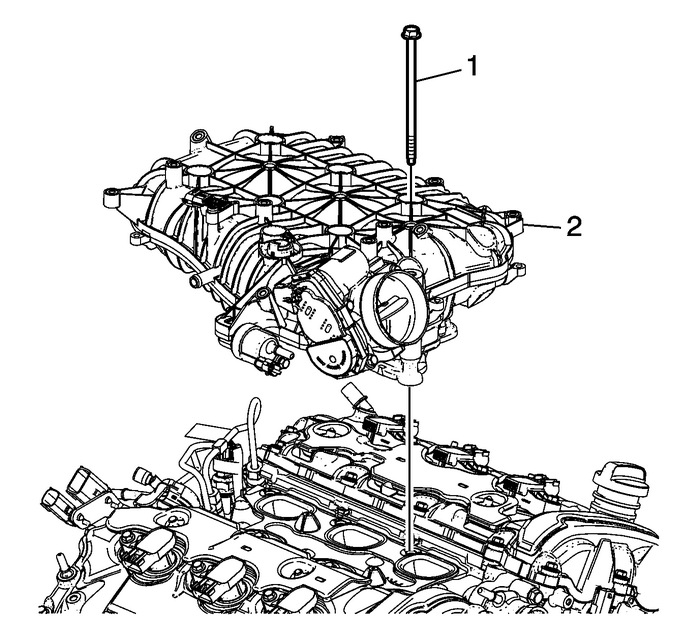 Connect the positive crankcase ventilation-(PCV)tube assembly-(1) to the upper intake manifold and theright camshaft cover.